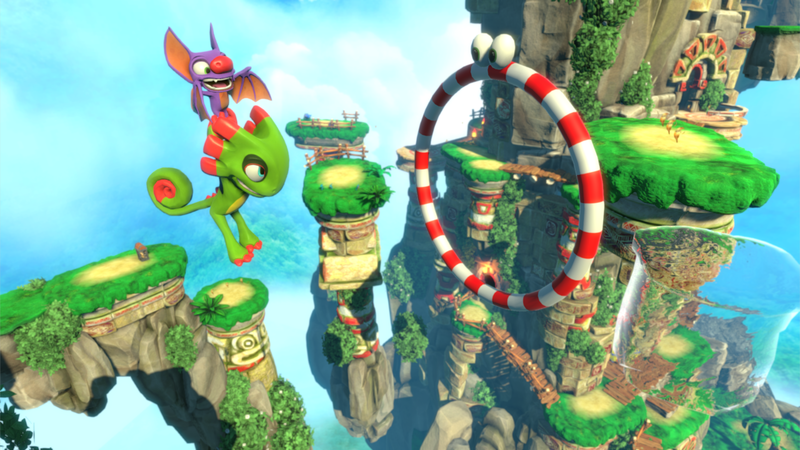 Is Yooka-Laylee Going to be a Nintendo NX Title? At the same time as the recent trailer was released, Playtonic Games announced that Yooka-Laylee was going to be delayed until Q1 2017. But while the company said it was delayed to give the game more polish and make it better in general (and that’s a very fair reason to delay it), something about the timing made me wonder if anything else was at play here. Namely, a port to a new system. Because Yooka-Laylee isn’t the only game delayed to 2017. No, Zelda for Wii U is. And why was that game delayed? To make it compatible with the Nintendo NX, Nintendo’s next home console and the Wii U’s upcoming successor. So could the same be happening with Yooka-Laylee? Could Playtonic have delayed it to get it ready for Nintendo’s new system? Honestly, I think the answer might well be yes. Think about it. The Wii U is a dying system. Yes, it’s not technically dead quite yet (given that Zelda and Color Splash are still on the horizon), but it’s fading fast and gamers in general have mostly given up on it. Even Nintendo fans are unlikely to shell out money for Wii U games in the next few months, especially given how the new system will probably require a good £2-400 of their hard earned cash in early 2017. Above: And the other games for the Wii U this time in the year aren’t gonna change that. 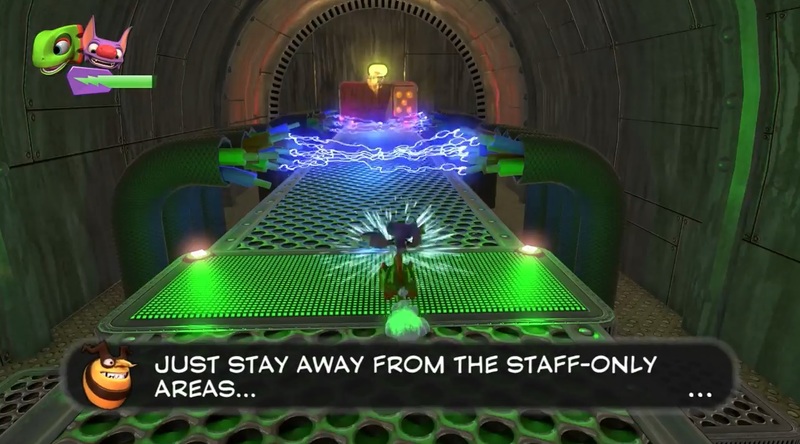 However, those Nintendo fans are some of Playtonic’s main audience. Are they all of them? No, not really. There’s always the odd Xbox fan who grew up with Rare’s later games, as well as people who’ve given up on Nintendo systems and moved to Playstation consoles or the likes. But a significant amount of Yooka-Laylee’s backers and fans are Nintendo fans. They liked Banjo-Kazooie and its sequel, they liked Conker’s Bad Fur Day and they liked Donkey Kong 64. Those people might not buy a Wii U game, but they damn well could buy a Nintendo NX one. As a result, I suspect Playtonic realised the market for Yooka-Laylee as a Wii U title was fairly small, but it could be a lot bigger as a Nintendo NX game. After all, people who buy the new system need games, and not everyone wants just Zelda to play. 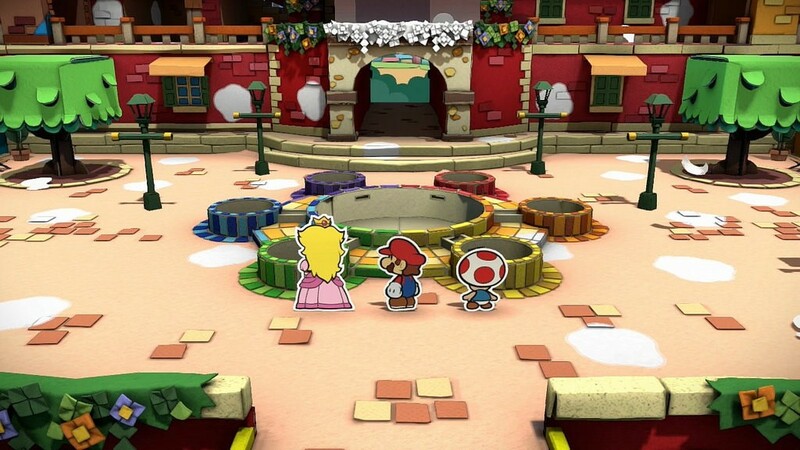 Give them a good triple A 3D platformer to play, and well, that’s going to entice a lot of people, especially if that new super HD Mario 64 sequel isn’t coming for the next year or two. Add how new consoles usually have mostly disappointing launch titles (outside of one or two big names), and well, Yooka-Laylee’s effective ‘competition’ for NX buyers is pretty much only the new Zelda title. People are gonna pick this over Generic Mini Game Collection 253 or Year Behind Port of Big Name Game 10. Above: A much, much better deal than Nintendo Land 2 or whatever. But do you know what else would be interesting? If it turns out Nintendo planned for this as well. If Nintendo realised that Yooka-Laylee could make a great NX game and approached Playtonic about the possibility of making a Nintendo NX version and getting it ready for launch day. They know there are people who don’t want linear 3D World style 3D platformers. They know people miss Rare’s games. Why not make everyone happy and support a great new 3D platformer from many of the same people behind Banjo-Kazooie and the likes? It’s a win-win situation for everyone! And yes, it presumably would still come out for the Wii U, like how Zelda is being released for the Wii U as well as the NX. So anyone who’s set in stone about getting it for that system could still do just that. It’d just also be released on a system where a larger audience might be willing to buy it. So that’s my guess anyway. 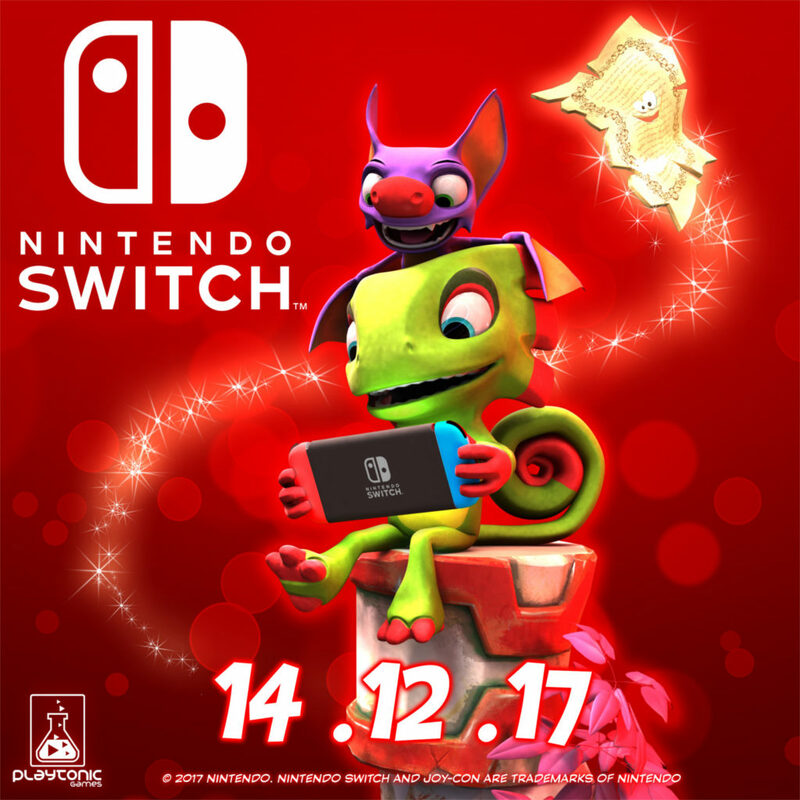 That Yooka-Laylee was delayed to early 2017 not just because of improves Playtonic wanted to make, but also because the game would be an ideal fit for the new Nintendo NX system that Nintendo is releasing. But what do you think? Is Yooka-Laylee’s delay purely to fix bugs and make improvements? Or is it potentially also to give the NX another great game in its library? Due to the attention Playtonic has been giving the Wii U version, and how all other versions are based around that, I'm gonna say… no. It be a nice boost for the system, but I got my Playstation copy reserved and not budging from that.